← SOLD! REDUCED! 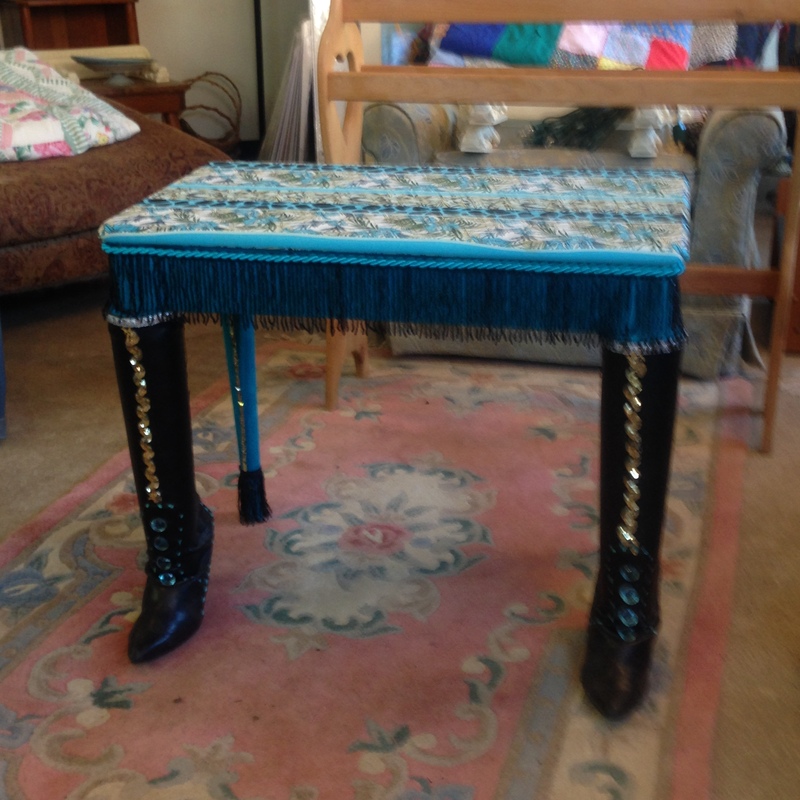 Not Sure What Style This End Table Is, But It’s Definitely Unique! REDUCED! 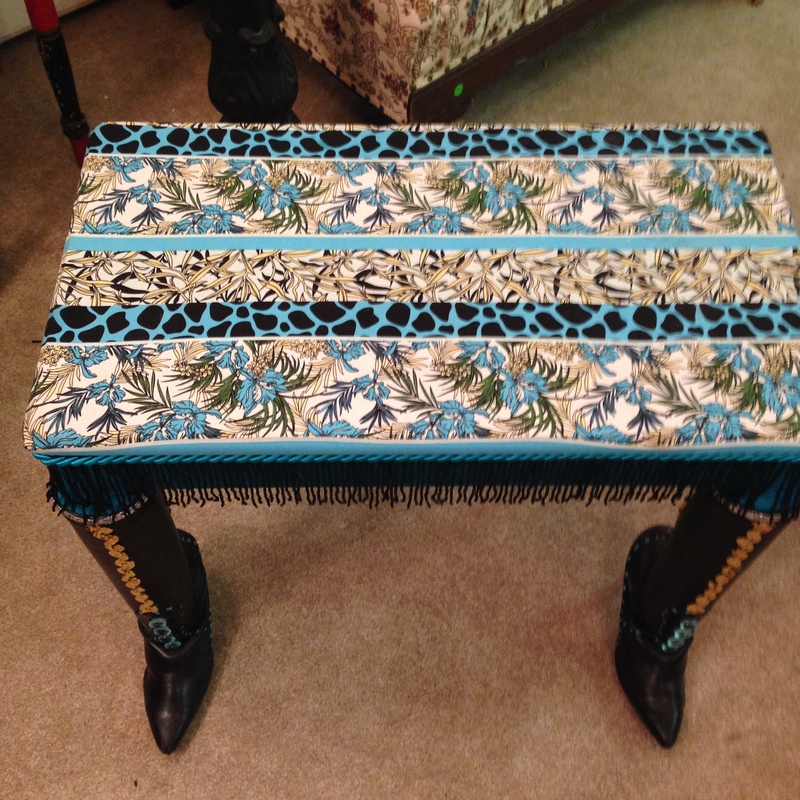 Like Our Smaller End Table, We Can’t Quite Identify This Style, But It’s Uber Fab! 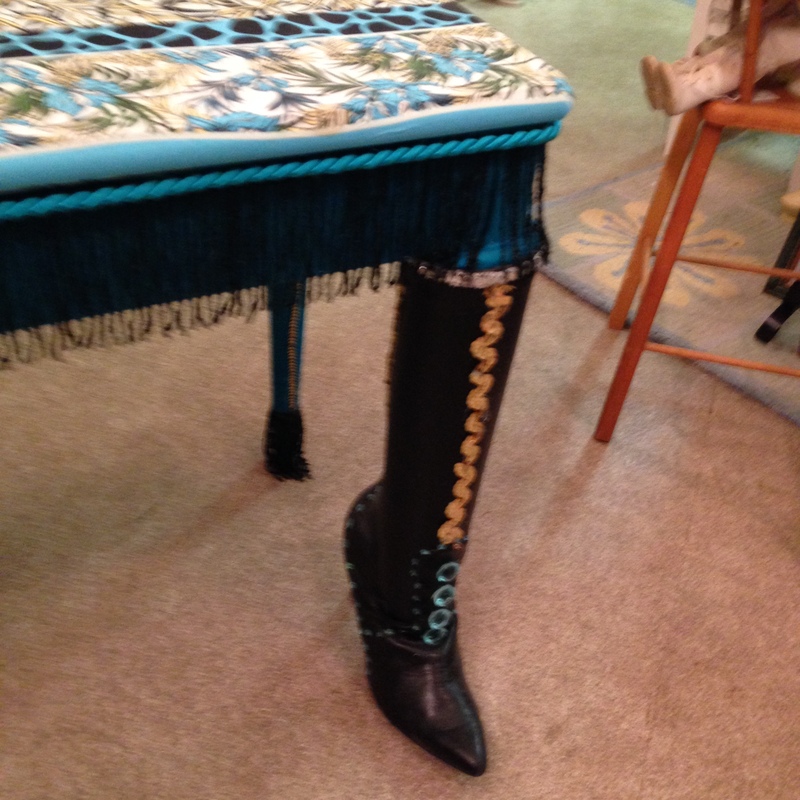 Just as I wrote about our other piece by the same artist, the colors on this end table are fabulous, baby… and look at that fringe and those boots! 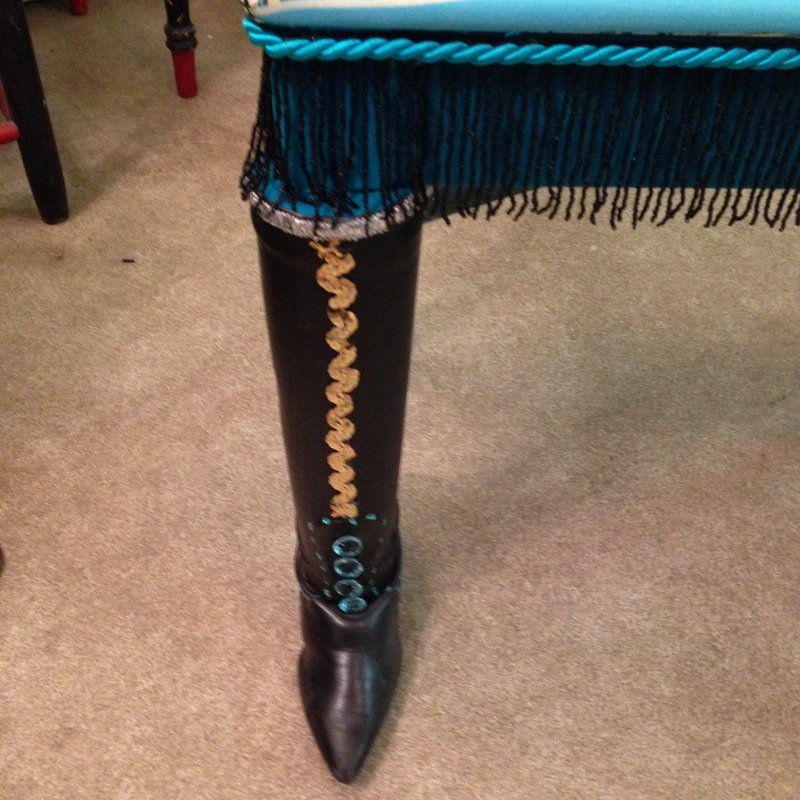 Along with the other fringe and boots table, this is definitely one of the more unusual end tables we’ve ever seen. We picked it up from another dealer in Western Maine who said he believes it (and our accompanying one, see previous blog) was made here in Maine somewhere. 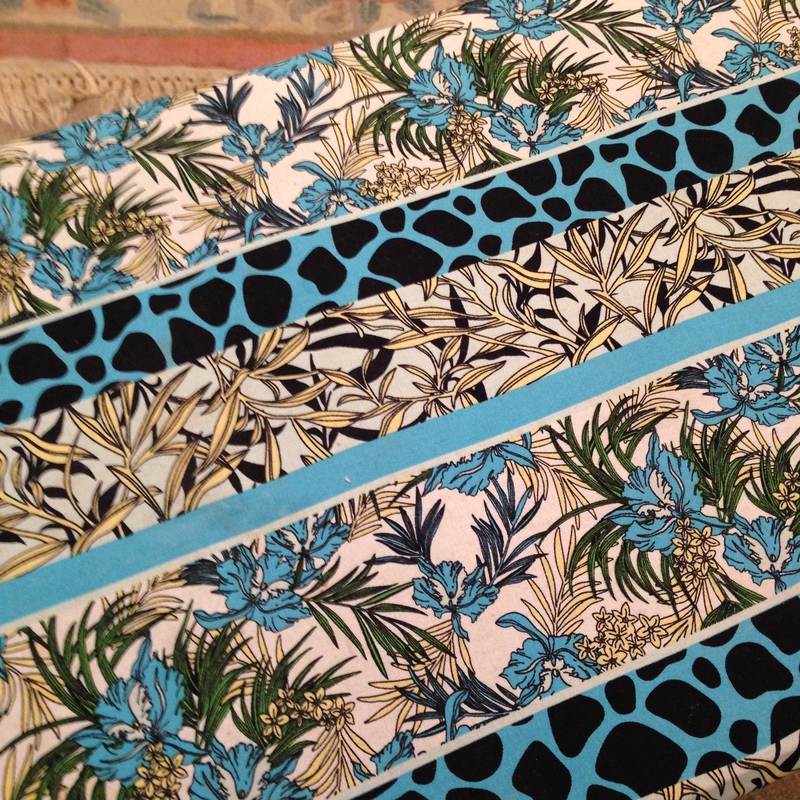 This table just reeks of self-indulgence! Grab a good book, an adult beverage and find some big band music or switch to an old movie musical. You will feel amazing! It’s like a mini-vacation in your own home, any time you want! 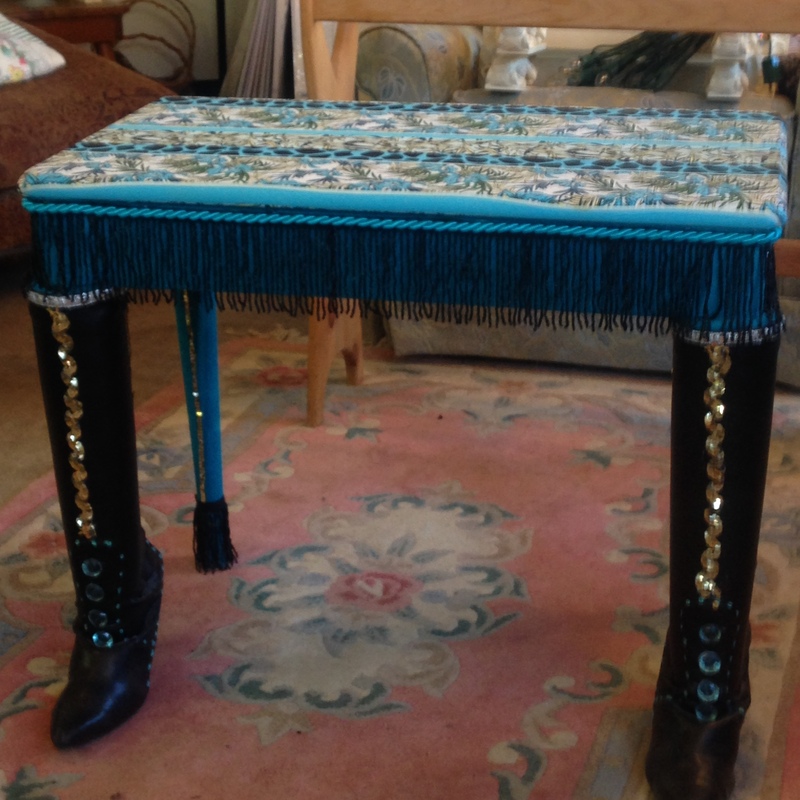 This entry was posted in Furniture - Miscellaneous, Odd Strange & Curious and tagged boots as furniture legs, boots on end table, end table, fabulous, fishnets, fringe & leather boots, funky, glass of wine, silk robe, this end table is different, unusual furniture. Bookmark the permalink. 2 Responses to REDUCED! 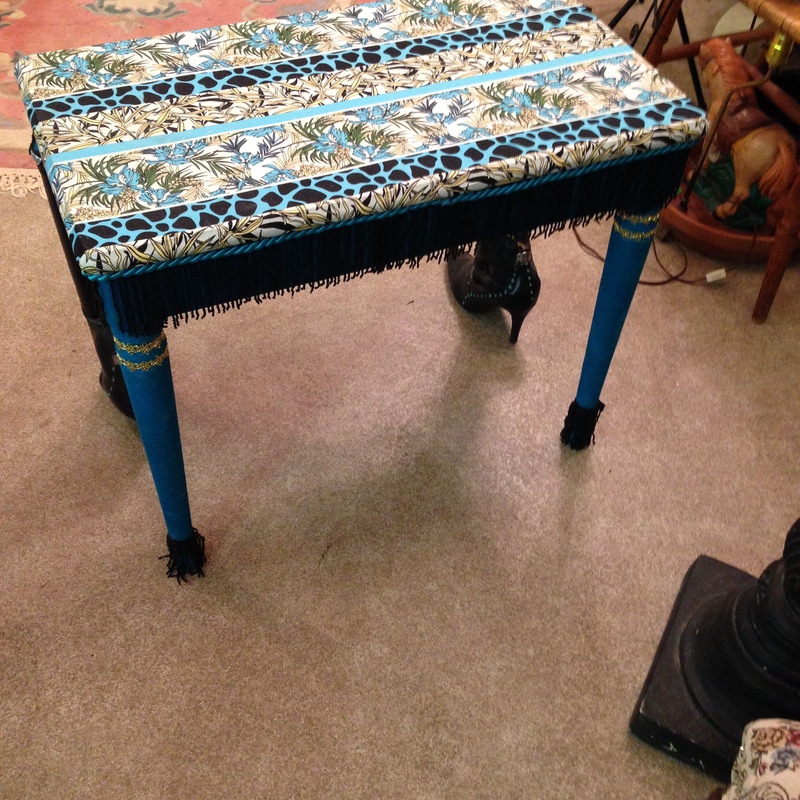 Like Our Smaller End Table, We Can’t Quite Identify This Style, But It’s Uber Fab!